NeoCloud is a leading Microsoft managed cloud services provider based in Raleigh, North Carolina with over 1,500 customers. The company provides licensing, deployment, and support services for software and infrastructure solutions to help businesses be more secure, reliable, and efficient. As a CSP tier 1 direct partner with Microsoft, NeoCloud offers customized solution bundles through a national reseller network of dealers. NeoCloud works with 1,000 dealers representing a large, diverse, and growing group of value-added resellers, business consultants, infrastructure technology and solution partners, telecom agents, and freelance sales people. The sheer number of people NeoCloud works with made it impossible to communicate and engage effectively with all of their constituents. Add to that the challenge of customizing solution bundles for each target audience– with 55 vendors and over 300 solutions. You can begin to understand the scope of the company’s complex operations and communications challenges. To solve their operational challenges, NeoCloud began looking for a CRM solution that would allow them to scale sales operations to address its growing audiences, while building and managing those relationships to drive business growth. NeoCloud became a Nimble reseller to provide a simple, powerful, yet affordable CRM for Office 365 and G Suite to its channel and their customers. Impressed by the popularity of Nimble, the company evaluated the solution for themselves. They were familiar with its capabilities, and knew Nimble offered the robust contact management, data enrichment, and social insights necessary to easily scale their network and operate more effectively. Without the bandwidth to handle customer engagement on a one-to-one basis, the ability to communicate effectively at scale by segmenting a large group of people was very appealing to NeoCloud. Now, with Nimble, the team can easily use custom fields to create lists based on tag profile information, segment contacts based on custom tags as well as social and business data, and use group messaging to send customized emails to targeted contacts. Another important factor in the company’s decision was the ability to access Nimble anywhere; from directly inside their inbox, web browser, and from their mobile device. NeoCloud considered this as revolutionary and crucial to increasing their efficiency. 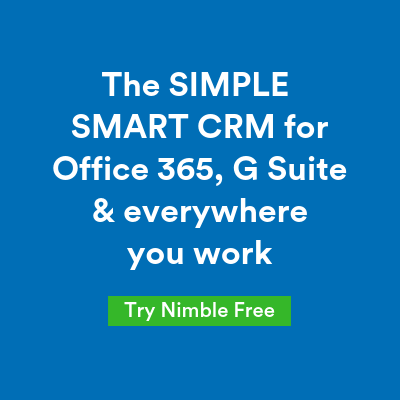 Deep integration with Office 365 and Gmail was also key in the selection of Nimble; not only for the company’s own use, but to enable their resellers to sell it more effectively. Users can adopt it without much behavior change. “We wanted a solution that would fit into our existing suite of products and solutions in place, and Nimble has done that very well. There are hundreds of CRM products out in the marketplace, but the level of integration and ease of use is really the differentiating factor,” explains Steve Slaughter, Channel Manager. NeoCloud now uses Nimble to leverage the vast amount of information available to them in a central repository for more effective outreach and development of enduring relationships with their resellers. Using Nimble to walk in the social footprints of their partners and resellers is extremely valuable to NeoCloud. By accessing their history of conversations and social media insights, the team can send more personalized outreach, allowing them to have meaningful conversations that are key to growing those relationships quickly and effectively at scale. 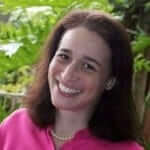 “A typical CRM system gives you the basics – contact title, what they sell, where they live. I wanted more than that. I wanted critical relationship-building information that would allow me to understand the reseller’s needs, priorities, and what drives them. Nimble gives me that,” notes Steve. Nimble has also been instrumental in the introduction and recruitment of new partners. As a result of the personalized group messages the team has sent thus far, partners have introduced other people from their own networks that NeoCloud has since started working with. NeoCloud has also seen these messages drive engagement with previously unengaged partners. The team also appreciates the ability to remain productive while on the road with Nimble mobile. They can prep for a meeting with all of the background information at their fingertips, and send follow up emails right from their mobile device so they never miss a beat. “Nimble was a significant supplement to our existing systems in the back office. It helps us manage relationships and have better conversations with partners versus simply managing transactions. Nimble has been vital to our success and made what was once an inefficient process exceedingly simple, which enables us to reach that high level of engagement quickly and effectively,” concludes Steve. NeoCloud has plans to expand the team that will be using Nimble to continue to automate processes, collaborate and share information, and manage their pipelines–all in one place. Steve is also configuring their onboarding process into Nimble to centrally track and manage the data collection around those workflows. This will help to improve management and team visibility into each customer’s onboarding status and results.